Middle Tennessee (25-5, 14-2): The heavy favorite to win the tournament, the Blue Raiders have a decent computer profile in case they falter. 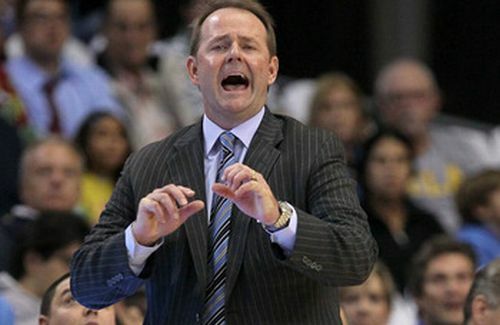 Still, Kermit Davis won’t want to leave anything to chance. UALR (15-15, 12-4): The Trojans won the tournament last year out of nowhere. This year, they can’t sneak up on anybody. Denver (21-8, 11-5): By far the scariest team in the league right now. If you watched them play back in November and December, you probably thought they’d win this league running away. Now, they’re starting to play like that again. Louisiana (16-14, 10-6): Yes, the ULM loss is ugly, but this team must simply forget about that and move on. North Texas (16-13, 9-7): The Mean Green are in a different position in the tournament this year as opposed to 2011. Back then, a senior-laden team was on a mission—a mission that fell short in the final seconds thanks to UALR. These young guys are a little more happy-go-lucky, though, which could be to their benefit. South Alabama (16-11, 8-8): The Jaguars are one of the league’s most surprising teams, finishing .500 despite bringing in an entirely new backcourt. Ronnie Arrow definitely has a major sleeper here. Western Kentucky (11-18, 7-9): UALR could have a difficult time with WKU in the quarterfinals, especially since the Hilltoppers have nothing to lose and have played well lately. Florida Atlantic (11-18, 7-9): Despite this season’s disastrous results, four wins in four days are all Mike Jarvis needs to forget all about it. Arkansas State (12-19, 6-10): The Red Wolves probably aren’t as bad as their record suggests, since they’ve lost a lot of close games and have competed somewhat against the top of the league. 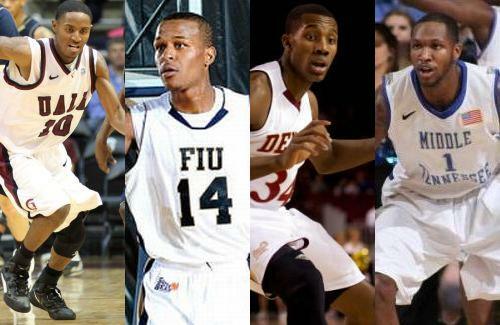 Florida International (8-20, 5-11): In DeJuan Wright’s last stand, maybe his teammates will rally for him. Troy (10-17, 5-11): The Trojans closed the season with two straight victories. That counts for something. After entering the season in the shadow of East favorite Florida Atlantic, Middle Tennessee dominated the Sun Belt Conference and ran away with the division. The slumping Owls fell well short of expectations, but Kermit Davis’ team played masterful defense and pounded the ball inside to LaRon Dendy and J.T. Sulton. This was supposed to be a team with major offensive question marks. And this was supposed to be a program that could never get over the proverbial hump. This season, though, Davis finally elevated the Blue Raiders to the top. No team experienced more turmoil than Western Kentucky, which fired Ken McDonald after a lackluster start. 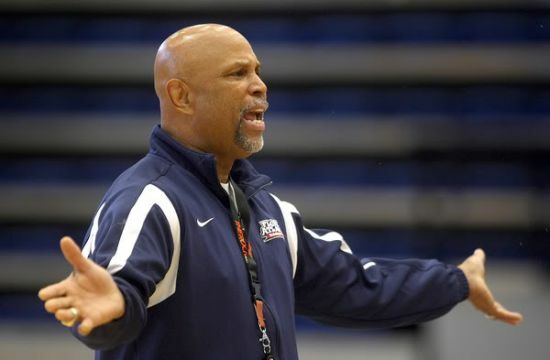 Even with one of the league’s youngest squads, Ken Harper took over and immediately instilled a new confidence in his players. Apparently, he impressed somebody at the top. The school gave Harper the reigns as the full-time head coach after originally tabbing him as an interim replacement. Harper led WKU to three wins in its final four games, including an upset of Middle Tennessee in the season finale. Arkansas-Little Rock lost Sun Belt Player of the Year Solomon Bozeman to graduation, and the 2011-12 season did not begin with much fanfare. UALR struggled through a difficult non-conference schedule and as Denver flew high in November and December, it appeared the reigning Sun Belt tourney champs may fall flat. We couldn’t have been more wrong. The Pioneers used a late surge to finish with 11 conference wins, but UALR edged them for the West title by playing good old-fashioned Steve Shields basketball all winter. We said before the season not to anticipate immediate dominance from Tony Mitchell at North Texas. Again, we couldn’t have been more wrong (that’s a theme here, as you’ve probably noticed). 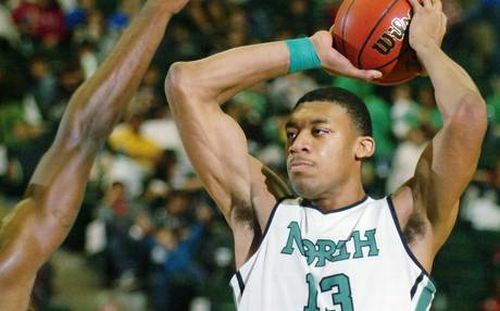 Mitchell averaged a double-double in his first season of collegiate basketball to help keep the Mean Green afloat despite the ineligibility of Chris Jones and Jordan Williams. If Mitchell stays another year, look out. Louisiana-Monroe will not compete in the Sun Belt tourney due to a poor academic rating, but it closed the regular season with one heck of a victory. It’s so significant and shocking, in fact, that it’s worthy of inclusion in this section as a part of the overall landscape of the Sun Belt’s 2011-12 season. It was one of those scores that simply makes you shake your head: ULM 78, Louisiana 60. That happened this weekend. In Lafayette, mind you. And remember, ULM has lost 26 games this season. This is the kind of stuff they make Hollywood movies about. Just consider the storylines: 1) it was a rivalry game 2) Louisiana is one of the league’s better squads 3) ULM’s seniors will never play again and the team cannot compete in the postseason 4) it was on UL’s home floor 5) brothers Steven (ULM) and Darshawn (UL) McClellan were playing against each other 6) ULM won by 18 points and 7) ULM has, um, 26 losses this season! By the way, Steven and Darshawn both scored in double figures. Steven may have won, but Darshawn’s team is playing this weekend, so he’s got bragging rights there. In some ways, we’re almost hesitant to give this award to a freshman. But Mitchell earned this. He averages a double-double, he’s the best shot-blocker in the league and he changes the game by simply stepping on to the court. Who else in this league can grab 20 rebounds one night, block six shots the next night and then score 30 points the next night? In a league with several terrific stars, Mitchell is an incomparable talent. Surprisingly, as much as a slam dunk as this pick may seem, it’s hard to pick against Steve Shields at UALR or Joe Scott at Denver. Still, Davis crafted a team with a lot of new parts into a big winner. He got the most out of Dendy after he transferred from Iowa State and he molded his guards into a really solid unit. In the end, this team played its tail off. It showed. D’Andre Williams, UALR, Guard: A quintessential leader, this man was the driving force behind the Trojans’ surprising West title this season. They don’t make them like D’Andre Williams anymore: solid, gritty, defensive-minded and able to make his teammates better in every way. DeJuan Wright, FIU, Guard: The senior may actually be the league’s most underrated player, despite leading the league in scoring. How’s that for bizarre? Chris Udofia, Denver, Forward: Finally, we got one right—we chose Udofia to break out this season, and he certainly did. But frankly, it wasn’t hard to see this coming. As a sophomore, he simply built on his success as a reserve the year before, and with more consistent playing time he became a stud on both ends of the floor. LaRon Dendy, MTSU, Forward: Chosen by the league as the Player of the Year, Dendy could put a scare into somebody in the NCAA Tournament. He matches up well with any major frontcourt. Tony Mitchell, UNT, Forward: Let’s pray he comes back for another season. Surprise, surprise: Middle Tennessee is your East Division champion. Reeling off four straight victories after that lone loss at Denver on national television earlier this month, the Blue Raiders tallied 30 assists in a 94-61 win at Louisiana-Monroe on Thursday night. That’s downright unheard of. They also made 10 three-pointers and allowed 15 players to appear in the game. Kudos to Kermit Davis for sharing the love. 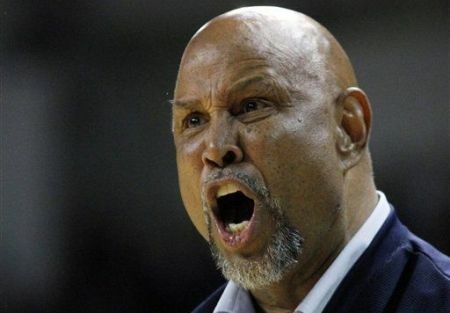 It’s official: Ray Harper is no longer an interim head coach at Western Kentucky– he got the full-time gig. The move adds a little stability to an increasingly unstable program in Bowling Green after the rocky tenure of previous head coach Ken McDonald. Harper, who served as an assistant on McDonald’s staff, won two national championships as a head coach in the Division II ranks. His team has responded relatively well to him, despite youth and major adversity. Middle Tennessee (25-4, 14-1): With a top-40 RPI and a decent computer profile, the Blue Raiders could actually sneak into the NCAA Tournament as an at-large. Kermit Davis certainly won’t want to bank on that, though especially since Middle Tennessee lacks that elusive signature victory. 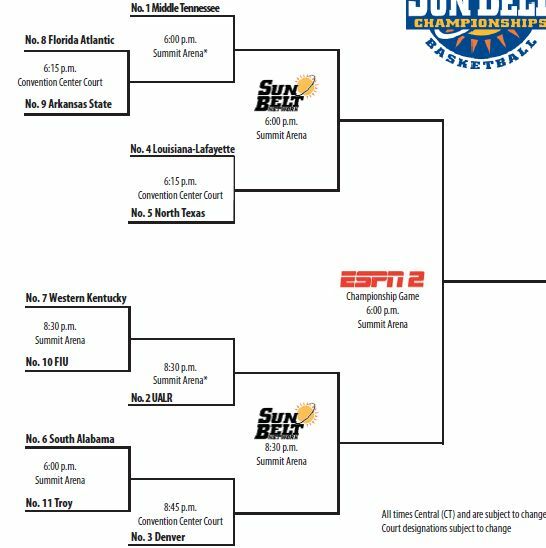 As a biased observer of the Sun Belt, it’s clear this team belongs in the Big Dance. Watch these guys play for 10 minutes and you’ll understand that. Unfortunately, the selection committee needs to be able to quantify success, and a few wins over Loyola Marymount, UCLA, Belmont, and Mississippi won’t get the job done. This is all a pointless debate if the Blue Raiders take care of business in Hot Springs though. Florida Atlantic’s season may be the strangest in recent memory in the Sun Belt. The preseason favorites dropped games to South Alabama (February 2) and Florida International (February 4) by a combined 31 points, appearing to hit rock bottom during this miserable 2011-12 campaign. And then, something funny happened: the Owls recovered from a blown 15-point lead to edge upstart Denver on Thursday, moving above .500 in Sun Belt play. With five games remaining, Mike Jarvis‘ team is essentially eliminated in the East, but perhaps edging the Pioneers will offer it a little late-season momentum. North Texas may have lost two starters due to eligibility issues, but Tony Mitchell is single-handedly carrying the Mean Green right now. Lately, he’s showing flashes of his NBA potential as the league’s leading rebounder. He shoots 53.6% from three-point range, he has five double-doubles already and he’s dropped 30 points on two teams — as a freshman. Last week, Arkansas State became his latest victim. Mitchell went for 21 points and 15 rebounds in UNT’s 76-64 win. 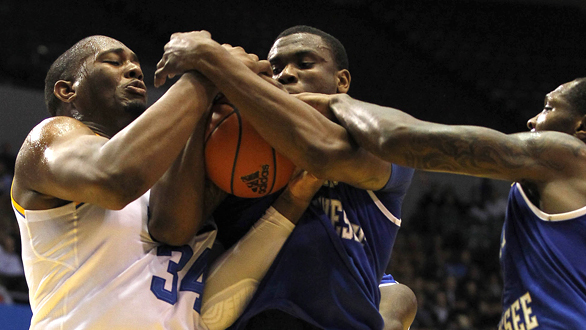 Middle Tennessee (22-4, 11-1): It was bound to happen at some point. Facing an especially energized crowd at Denver thanks to an ESPN2 telecast, the Blue Raiders were no match for the intensity of the building. Unable to impose its will on the boards or defend at its normal level, Middle Tennessee also turned the ball over 17 times and looked rattled for the first time, well, ever. It carried over to Thursday night, when Western Kentucky forced the Blue Raiders to miss 18 of their first 20 shots. Eventually, they recovered for a fairly easy win, but we’re finding out that MTSU is human after all. There’s not much excitement to report from the Sun Belt’s first night of conference play on Thursday, but UALR looks like the big winner with a road win at North Texas. The Trojans, who have struggled on the road under Steve Shields in recent years, had lost all six away contests during non-conference play, but a double-double from forward Will Neighbour and stellar guard play helped grind out the victory over the Mean Green. That will probably be a theme this year in the wide open West Division, where only Denver has established itself as a power. The Pioneers, by the way, handled Troy at home in their opener. East leader Middle Tennessee also held off a pesky Florida International team in Murfreesboro, and Western Kentucky escaped in overtime at Louisiana-Monroe. With the second semester underway, the much anticipated debut of Tony Mitchell at North Texas hasn’t disappointed anybody. Although Mitchell struggled with foul trouble in the loss to UALR on Thursday, he has already showcased his freakish athleticism by throwing down dunk after dunk during his first four games. In wins over Jackson State, Grambling and New Orleans, Mitchell averaged more than 13 points per game and looked more than comfortable on the court. Even in a loss to LSU, Mitchell scored 11 points in 27 minutes after earning the start for Johnny Jones. He’s still improving at this point, but Mitchell should be a different player by early March. Middle Tennessee (12-2, 1-0) — Congratulations, Kermit Davis: you are now the winningest coach in MTSU history. Davis won his 165th game against FIU on Thursday, but more importantly, his team looks like the runaway favorite in the East after completing an impressive non-conference run. Two months ago, suggesting another division champ besides Florida Atlantic would have seemed insane, but Davis finally may have turned the corner with this program. This team is physical, nasty and downright intimidating, especially on the defensive end with LaRon Dendy and Shawn Jones as the shot-blockers. These forwards rebound well and they don’t give an inch in the paint, and on the other end — Dendy in particular has emerged as a back-to-the-basket scorer. There was never a question that MTSU would defend this season, but Bruce Massey, Marcos Knight and the rest of the guards have also answered every offensive concern Davis had in the pre-season. Middle Tennessee looks like a machine on offense right now, and that’s because it shares the ball as well as anybody in the Sun Belt. 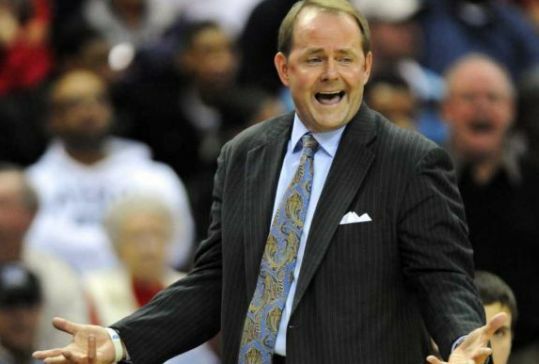 While most of the media’s attention was directed at NC State‘s curious decision to hire former Alabama head coach Mark Gottfried another school was making a significant hire. Lamar will likely never command the same attention that an ACC school like NC State does, but the Cardinals appear to be set to announce that former Texas Tech coach Pat Knight will be their next coach in a press conference this afternoon. Although much of Knight’s reputation comes from his much more successful father (do we even have to name him? ), the addition of a coach who has experience at the Big 12 level is a significant pick-up for a team in the Southland Conference. 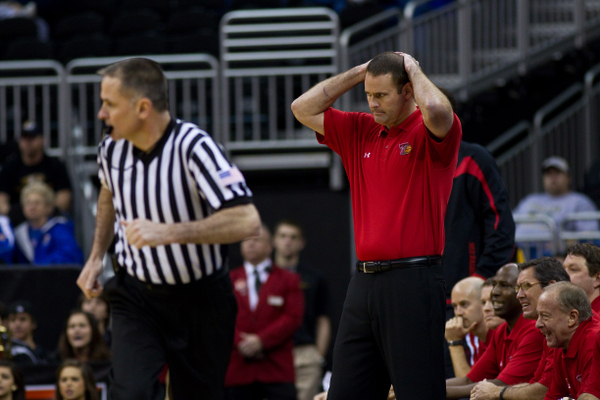 Knight took over the reins at Texas Tech during the 2007-08 season when his father abruptly retired. The Red Raiders struggled to a 4-7 finish that season, but did show some signs of life including an 84-75 win over 22nd-ranked Kansas State in Knight’s third game as head coach and an 83-80 win over 5th-ranked Texas a few games later. Unfortunately for Knight the highlights in Lubbock were few and far between. 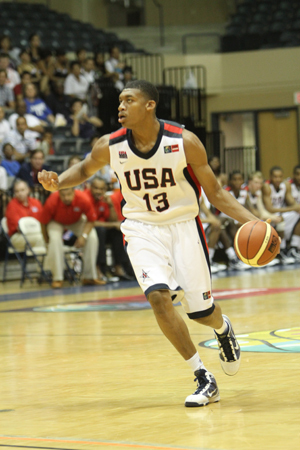 In his three full seasons at Texas Tech he only finished with a winning record once (19-16 in the 2009-10 season when he made his only postseason apperance winning one game in the NIT before bowing out in the quarterfinals) and compiling a record of 50-61 overall and 16-42 in the Big 12 never finishing higher than 9th (he did finish 7th in the season he partially coached). Note: Rush the Court will be live-blogging tonight’s WAC Semifinals, which starts at 8:30 PM ET. The quarterfinals of the 2009 WAC Tournament are in the books and the league’s top two seeded teams–Utah State and Nevada–advanced. The #3 and #4 seeds Idaho and Boise State? Not nearly as fortunate. Each session brought its own upset as in the tournament’s first game #5 seed New Mexico State upended #4 seed Boise State. The Broncos had won the first two meetings of the season and were looking to make it three straight and looked to be off to a good start when they built a 30-20 lead midway through the first half. However, New Mexico State found its shot and took a 38-36 lead into the break. Boise State tied the game at 38 apiece less than a minute into the game after a pair of made free throws but that’s as close as they would get the rest of the way. Spurred by an 8-0 run, New Mexico State seized control of the game and timely free throws and a second half barrage of three pointers by junior guard Jonathan Gibson helped the Aggies to advance to the semifinals. Gibson finished with a team high 22 points for the Aggies. Boise State was led by Mark Sanchez who scored a game high 25 points. In all four Aggies finished with double figures in scoring while three Broncos achieved that mark. Boise State finishes the season at 19-12 and will await their postseason fate. The Aggies improve to 17-14 and will face top seed Utah State at 6:00 p.m. PT. In the first session’s second game the regular season champion Utah State took on #9 seed Fresno State. Most Aggie fans approached this game with a bit of guarded optimism not normally seen in a 1 vs. 9 matchup. However, there was due cause for their concern as Fresno State had pushed Utah State to the brink in both regular season meetings. The Bulldogs had lost by just four in the always tough Dee Glenn Smith Spectrum in Logan and then later took Utah State to overtime before eventually losing. After Fresno State escaped the 8/9 play-in game against Hawai’i, they looked to spring the upset. Unfortunately for the Bulldogs, the Aggies had different plans. Utah State jumped out to a 16-3 lead and never looked back. Utah State hit a season high 13 three pointers en route to an 85-68 victory. Utah State’s Stavon Williams finished with 22 points on 8-11 shooting including 6-8 from three point distance. Gary Wilkinson and Jared Quayle each pitched in 18 for the Aggies. Fresno State had four players reach double figures led by freshman Paul George with 16. Senior Dwight O’Neil, playing in his final game scored 14 points. Utah State rekindles their rivalry with New Mexico State in the first semifinal game at 6:00 p.m. PT.